You will never make it if you care what others think. Fall in love with life before you fall in love with Anyone. 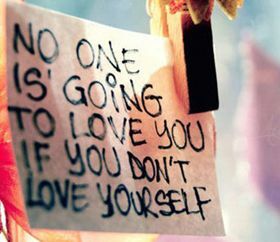 Take care of yourself, because if you don't nobody else will. Dignity means that an individual feels self-respect and self-worth. Self respect gives us true awareness about ourselves and is the foundation for self-love. As I assessed all the things that were going sideways, I realized every mistake and misstep I'd made happened because I was exhausted. So, I started prioritizing self-care. When nobody else celebrates you, learn to celebrate yourself. When nobody compliments you, then complement yourself. It is your responsibility to stand up for yourself when you feel others are not treating you with value. Your biggest enemy is yourself so be your best friend. Own your brand, not minding the market noise,walk your lane like a boss. You are Valid, Eminent and Endorsed. Happiness and self love are moment to moment choices. There will inevitably be times when we don't make them. The beautiful thing is that every moment is a new opportunity to choose again. Every moment is a chance to apply what we've learned. We need to have the courage to do what we can and be happy with that. 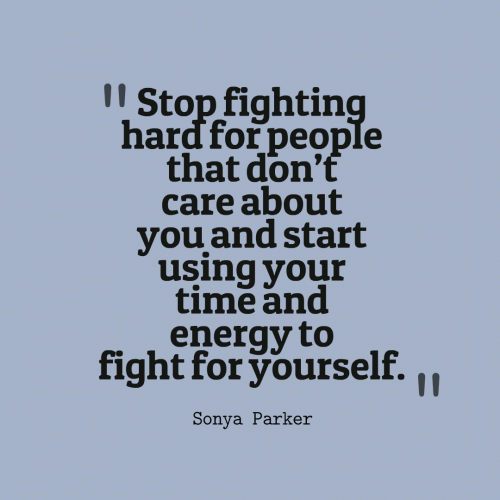 Stop fighting hard for people that dont care about you and start using your time and energy to fight for yourself. Life without love is meaningless. Love was born even before mankind was born and it still exists in all kinds of organism, including humans. Though love is expressed in various forms and between different relationships, eternal love is accomplished between a man and a woman. Love is one trait that never diminishes as long as you give it to others and keeps on growing. There are immortal stories on lovers and immortal quotes on love and a few of them are given below. Even in the stories that ended in tragedy, love has never failed but only the lovers have. They stand evergreen and are suitable for all ages of time, whatever is the advancement in technology and science. They are suitable to be sent to your friends or loved ones as ecard, quote or email.